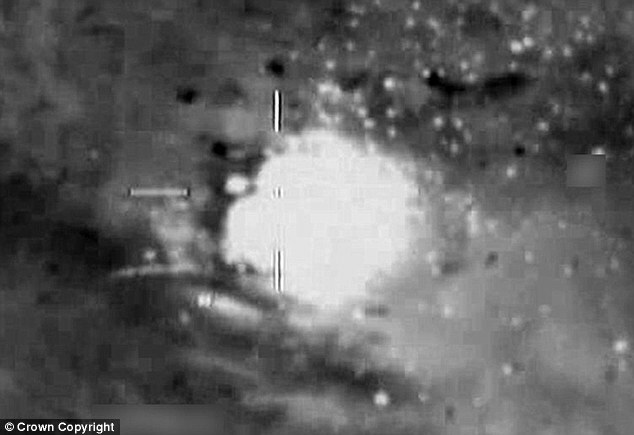 Footage of NATO planes destroying Libyan tanks has been released by the Ministry of Defence as the African Union intervenes in the crisis to mediate in a bid to prevent further bloodshed. In a meeting between five African heads of State and Libyan representatives, the Union has agreed to act as mediators for any peace talks that take place between the government and the rebels. 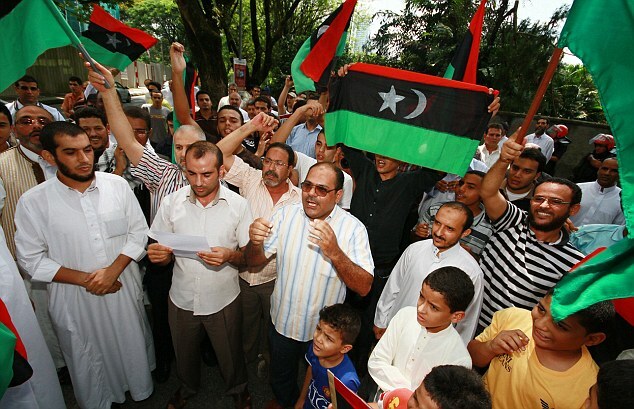 The head of the Union, Jean Ping, said the talks were an attempt to 'foster an exchange of views in order to take action on the situation in Libya and to seek the ways and means towards a swift solution to the crisis'. 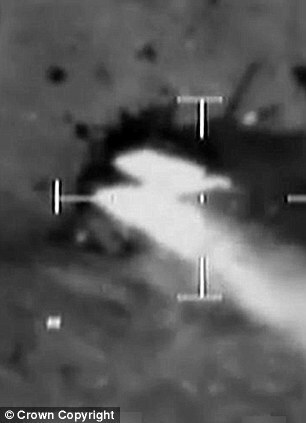 Earlier today the Ministry of Defence released footage of tanks being bombed by RAF Tornado jets. 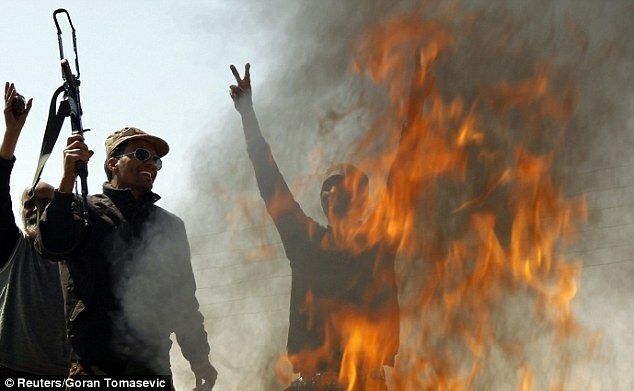 The black and white footage shows direct hits by Brimstone missiles, engulfing the gaddafi loyalist troops in flames. Explaining the footage, Air Vice-Marshal Phil Osborn said: 'While Typhoon, supported by Sentry E-3D, secured the airspace, a pair of Royal Air Force Tornado GR4s were on patrol near Adjabiya, equipped with Litening targeting pods, and carrying, amongst other weapons, Brimstone precision guided missiles. 'They also had intelligence on likely target locations from previous RAPTOR [Reconnaissance Airborne Pod for Tornado] images, and using this they were able to identify a group of Libyan T-72 tanks, with their weapons trained on Adjabiya. Their highly accurate attack with Brimstone missiles hit three of the tanks, completely destroying them. 'The Tornados were by this time running low on fuel, so they handed the target over to another coalition patrol, which then attacked with laser guided bombs and hit another three tanks. Having refuelled from an Royal Air Force VC10 tanker aircraft, the GR4s then returned to assess the results of the combined attacks. After command of the international no-fly zone was handed to Nato Foreign Secretary William Hague said he expected the rest of the military operation to follow. 'I have every expectation that the whole operation, including the protection of civilians on the ground in Libya by our air strikes and missile strikes, will also be part of a Nato command,' he told BBC Radio 4's The World at One. Mr Ping, speaking at talks in Ethiopian capital Addis Ababa, is now calling for a transition period in Libya that would lead to democratic elections. In a speech, he stressed the inevitability of political reforms in Libya, and said that he believes a consensus can be reached between the rebels fighting against the regime of Colonel Gaddafi. 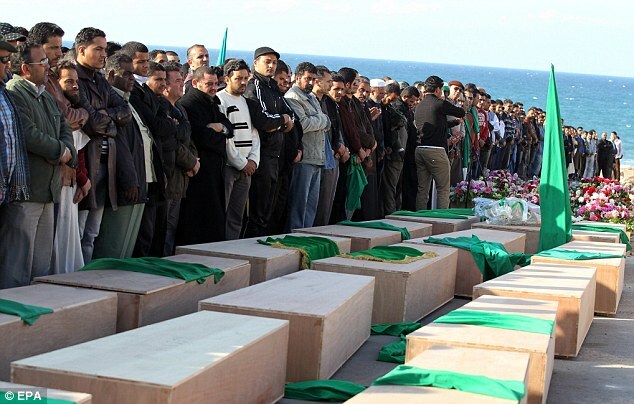 Meanwhile, David Cameron praised the bravery of UK military forces in action over Libya today as he insisted the campaign would continue until civilians were 'safe and secure from attack'. The Prime Minister said the coalition had been right to act 'quickly and decisively', but the situation remained 'grave' in Misrata and Zintan. British forces had now carried out 70 sorties against Muammar Gaddafi's troops, including striking at tanks on the ground, he said. Mr Cameron said the EU summit had agreed that 'military action should continue until people are safe and secure and until UN Security Council Resolution 1973 is properly implemented'. His words came following a sixth night of bombing raids on the country. British warplanes were again involved with raids over Tripoli, targeting military bases on the outskirts of the city. Reports by the AFP news agency said that at least three explosions hit the city, with one heard in Tajoura, where the bases are located. 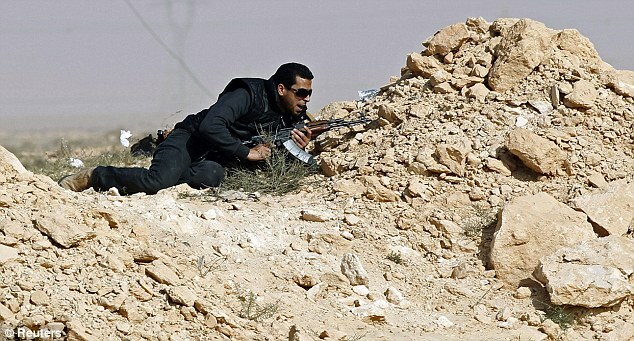 Libya forces returned fire using anti-aircraft weapons but where unable to stop the raids. The Ministry of Defence also confirmed that they had attacked armoured vehicles in the town of Ajdabiya around 430miles south of the capital. 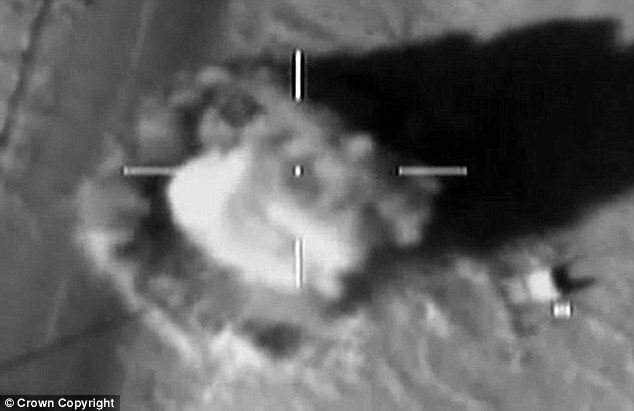 Defence Secretary Dr Liam Fox said: 'British Tornado GR4 Aircraft, on armed reconnaissance missions over Libya, last night took part in a co-ordinated missile strike against units of Colonel Gaddafi's Libyan Military in support of the United Nations Security Council Resolution 1973. French aircraft were also involved in the attacks with the French Army's chief of staff, Admiral Edouard Guillaud, saying his forces had destroyed an artillery battery. Admiral Guillaud also declared that Libyan airspace was 'under control' following NATO's takeover of the no-fly zone. 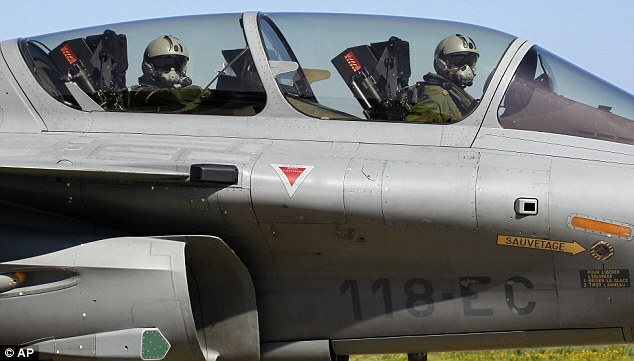 'Libyan airspace is under control, and we proved it yesterday, because a Libyan plane in the hands of pro-Gaddafi forces, which had just taken off from Misrata in order to bomb Misrata, was destroyed by a French Rafale,' Guillaud said on a French radio broadcast. The bombing of the country came as it was revealed that hundreds of British special forces troops have been deployed deep inside Libya targeting Colonel Gaddafi’s forces – and more are on standby. While Chancellor George Osborne repeated that UK ground troops would not be involved, the Daily Mail can reveal there are an estimated 350 already mounting covert operations. In total it is understood that just under 250 UK special forces soldiers and their support have been in Libya since before the launch of air strikes to enforce the no-fly zone against Gaddafi’s forces. 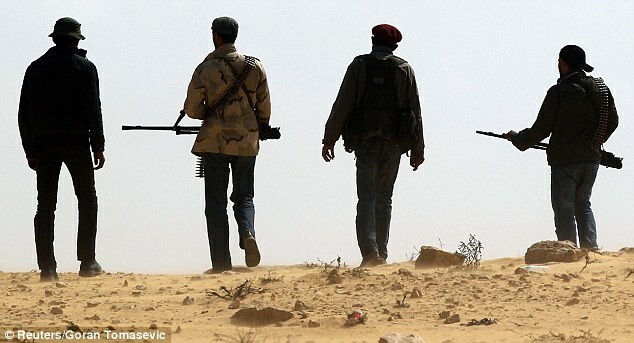 The troops in Libya were drawn from a squadron of SAS and SBS personnel, some who have been in the country for a month and are being re-supplied with water, food and ammunition via airdrops from Cyprus. Those numbers were further boosted by nearly 100 this week when paratroopers from the Special Forces Support Group (SFSG) were sent to Libya as coalition commanders prepare to increase the tempo of operations. A further 800 Royal Marines are on five days’ notice to deploy to the Mediterranean to support humanitarian relief and aid operations. The beefing up of the Special Forces contingent comes as commanders switch attacks against command and control centres to low-level attacks against Gaddafi’s tanks. 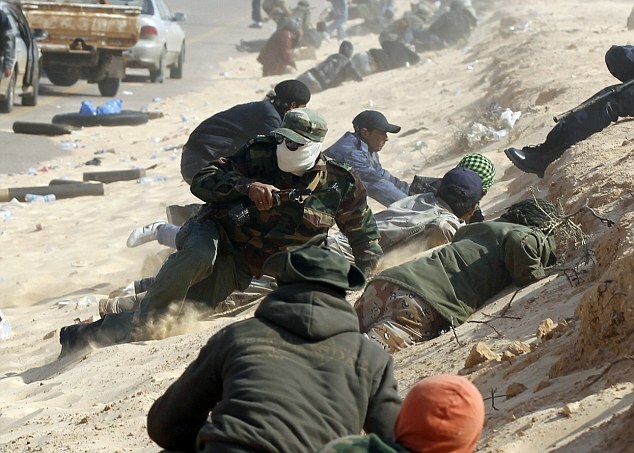 But with Gaddafi forces continuing to pound rebel positions, more special forces will be needed in the next phase of operations to ensure that RAF pilots do not kill civilians used as human shields by Gaddafi or destroy key public buildings. Officials say the UK force is under very clear directions not to get drawn into close combat operations with regime forces unless their own lives are threatened or in extreme circumstances in which Gaddafi forces are killing unarmed civilians. Are we now committed to Libya for the long term? UN General Secretary Ban Ki-Moon told the BBC that removing Gaddafi was not the sole aim of the operation but that it could be one effect. And he said that the intervention had had the desired effect. Revelations about the true scale of the ground deployment cast grave doubt on the Government’s estimate of the cost of the war. 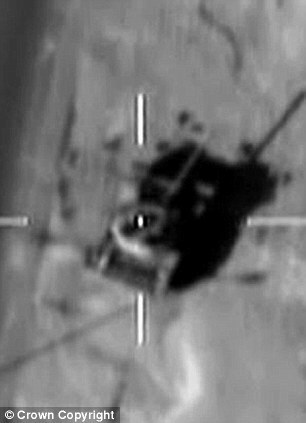 But Daily Mail calculations show that the MoD has spent at least £29.2million in just five days on the air operations and cruise missile strikes – not including the costs of the Special Forces deployed in Libya. At that rate the war will cost more than £100million after just 17 days. 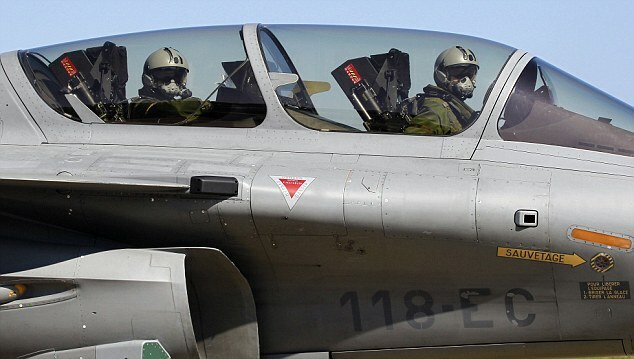 Yesterday a French fighter jet blasted a Libyan warplane caught violating the no-fly zone. The plane – said to be a single-engine Soko G-2 Galeb trainer aircraft – was hit by an air-to-ground missile as it landed at Misrata air base after flying over the besieged rebel-held city. The strike by a coalition Rafale fighter is the first incident of its kind since the no-fly zone was imposed last week. Coalition military sources had previously claimed Libya’s air capability had been totally neutralised. More than 100 people have been killed and 1,300 injured in Misrata following days of tank bombardment and sniper attack by the tyrant’s army.